Here’s my favorite restaurant in Maine. It’s Trevett Country Store on Hodgdon Island. They’ve got great lobster rolls and other seafood and very good burgers, BLTs and pizza. Everything is made from scratch as soon as you order it. The place looks like a complete dump, so you wouldn’t expect it to be that great. However, after a few visits I’ve come to realize that their food tastes better than all the “casual dining” restaurants I’ve visited in Bath, Wiscasset, and Rockland. Best of all, they aren’t catering to tourists, just locals — so their prices are reasonable. Also, you can get here by boat — they’ve got a nice boat dock in the back. If you’re nearby on Southport, Westport, Wiscasset, Boothbay Harbor, Georgetown, or Barter’s Island, then it’d make a nice outing. 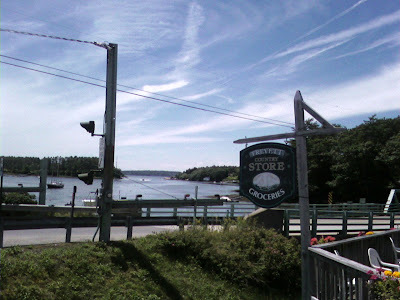 Trevett Country Store is a great destination if you’re looking for a hidden gem off the beaten path in Maine.